Home » News » It’s Christmas in street paper land! It’s Christmas in street paper land! 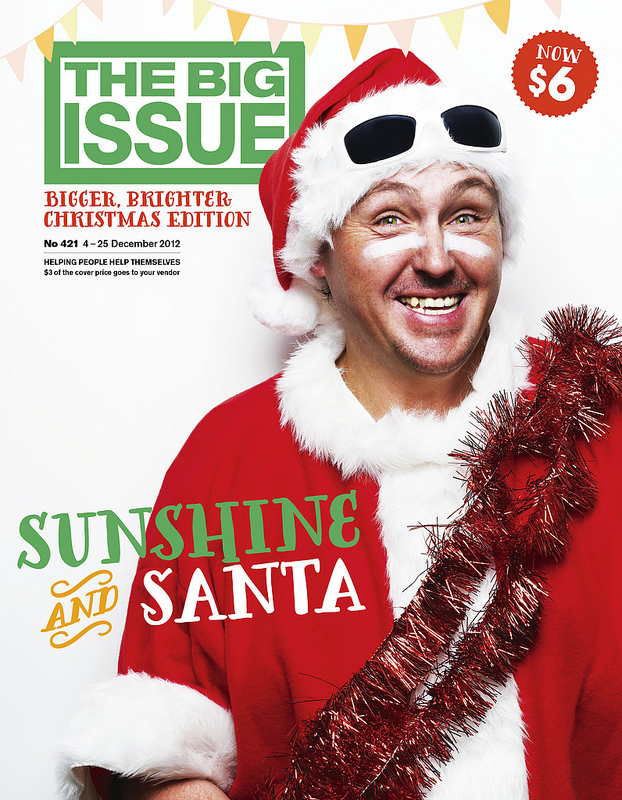 Big Issue Australia were celebrating ‘Sunshine and Santa’ with the paper’s annual ‘Big Wish You’ issue. 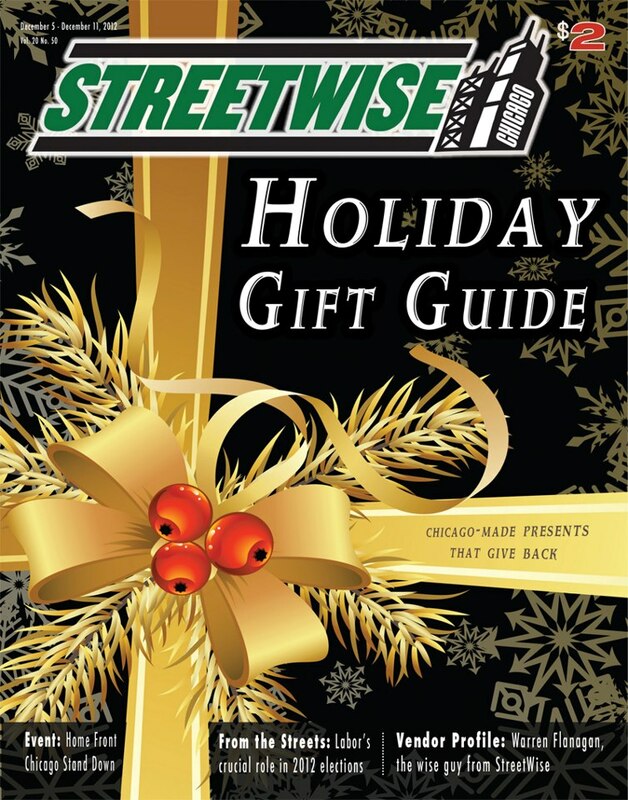 weekly publication to around 8000 readers in Chicago. vendors sell the fortnightly paper to around 16,000 readers. average a combined 75,000 copies per edition. 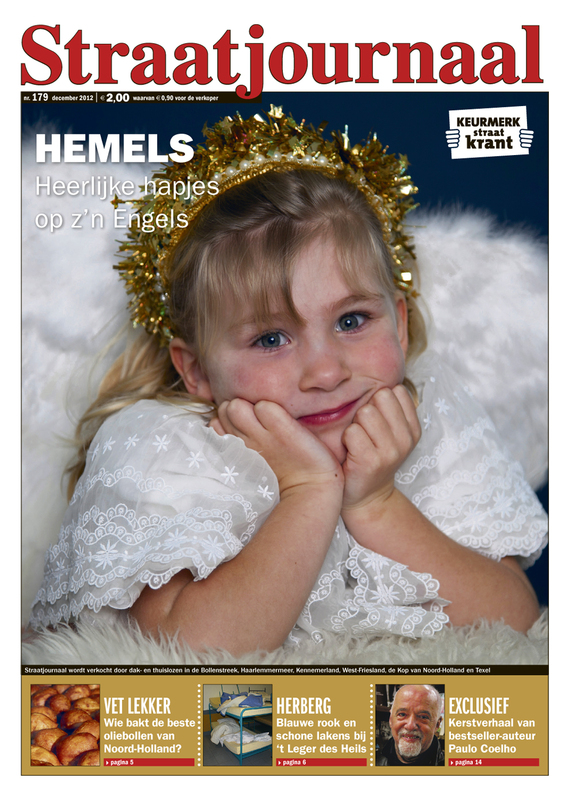 In the Netherlands the Straatnieuws cover aims this Christmas mas to help their vendors to make new friends on their pitch. Santa helps out and puts his (Facebook) thumb up for this. Friendship is the editorial focus of this issue. 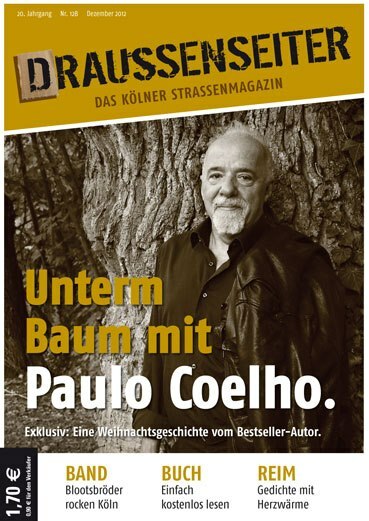 The cover of Café Jerusalem (Neumünster, Germany) features Alfred, a homeless man in Paris dressed up as Santa Claus. 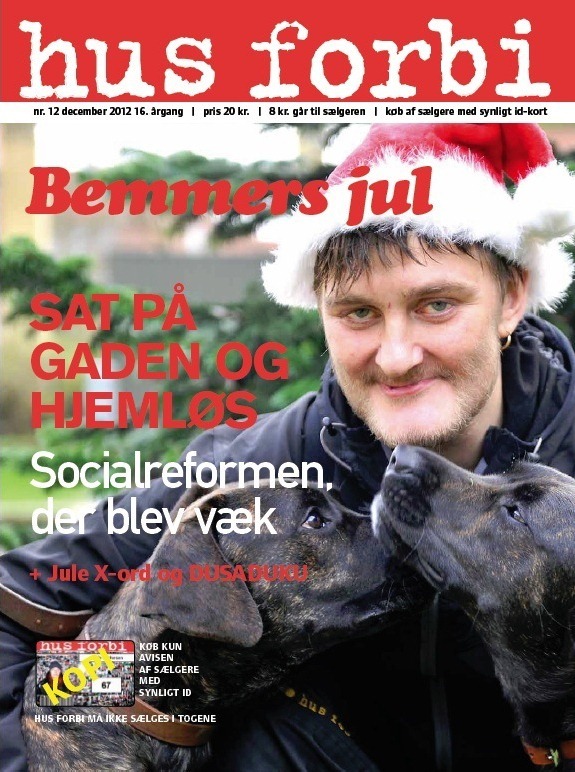 Strassenfeger (Berlin, Germany) ran two Christmas covers this year titled ‘Rituale’ and ‘Wunderbar’. 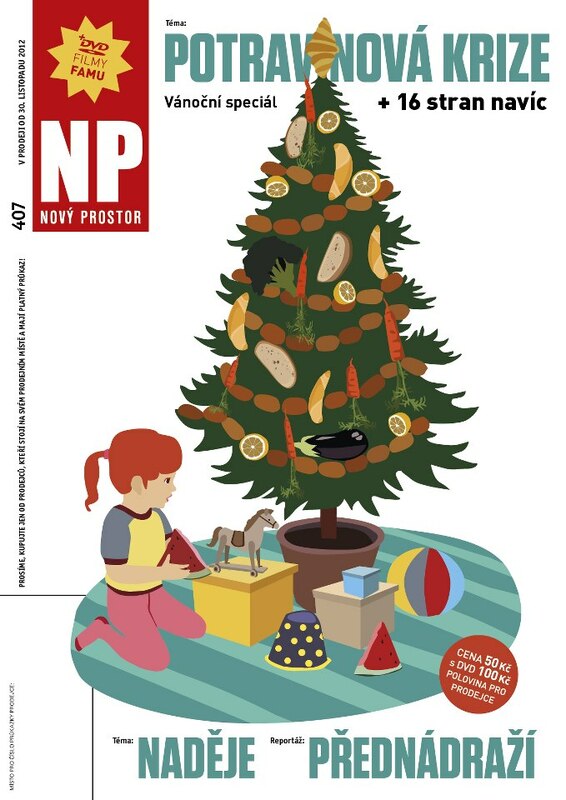 In Canada Megaphone reflects on the true meaning of Christmas, with pieces from vendors about what the holidays means to them. 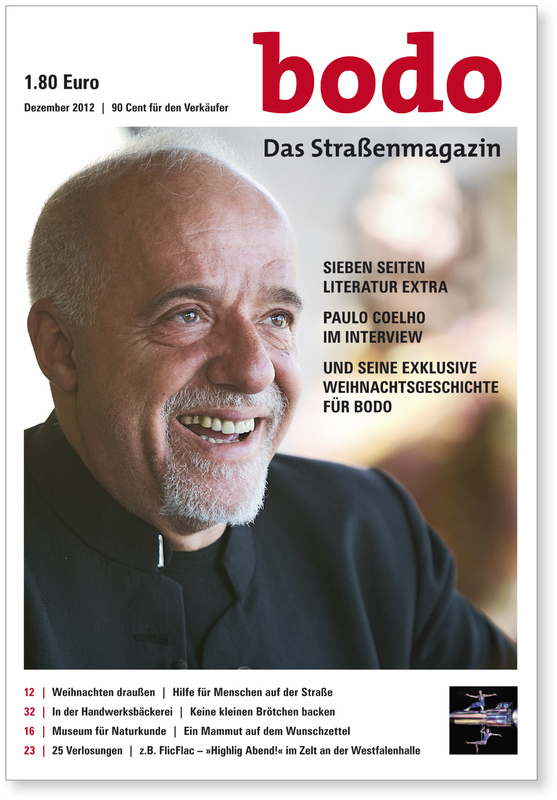 The Christmas edition of Surprise (Switzerland) features many short stories including the donated story by Paulo Coelho. 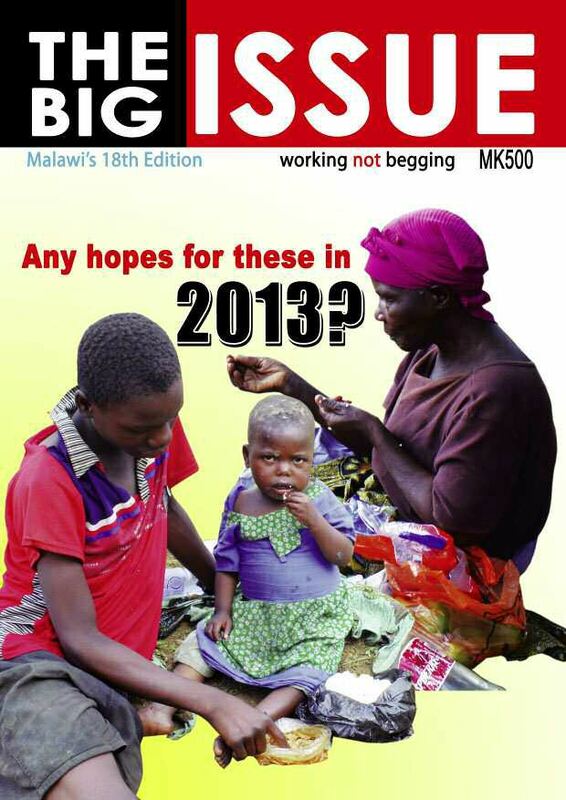 the plight of Malawi’s underprivileged children in a series of articles. vendors with a circulation of 1000 per edition.